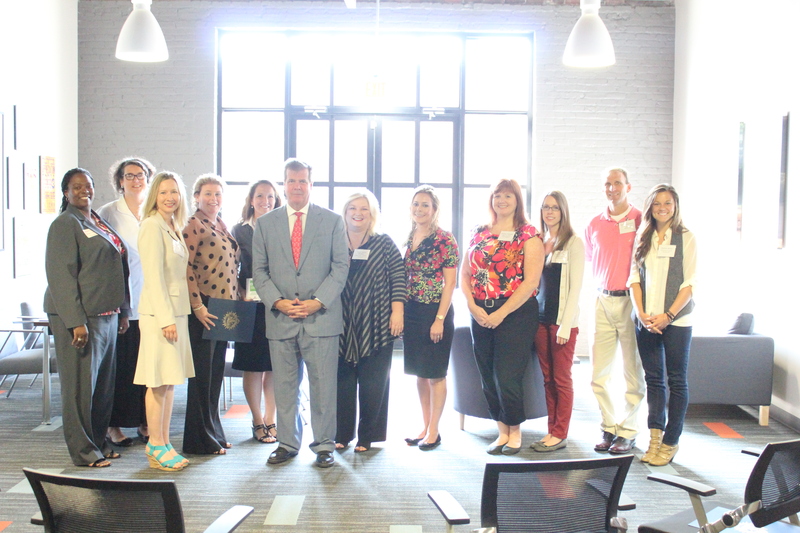 NASHVILLE, Tenn. – Today, Mayor Karl Dean announced that six nonprofit organizations have been formally recognized for their high-quality volunteer management programs, and have received Excellence in Volunteer Engagement (EVE) certification. 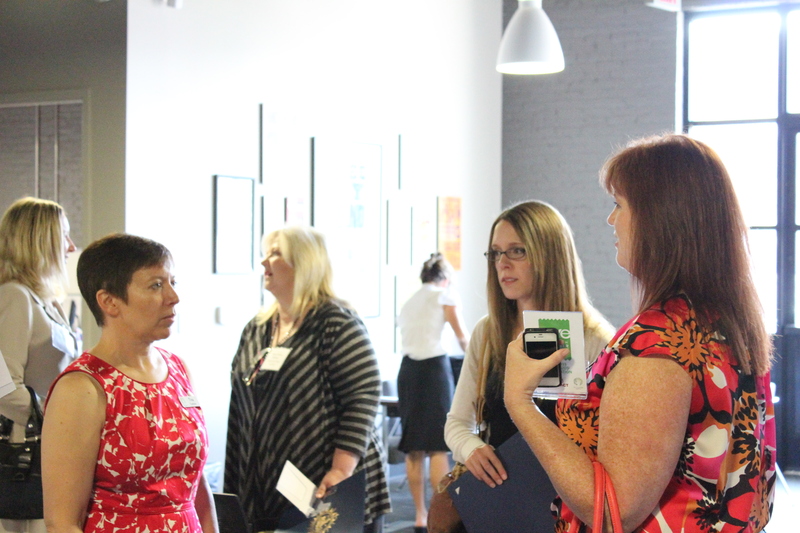 This brings the number of Middle Tennessee nonprofits that are EVE-certified to 63. Excellence in Volunteer Engagement, the first such certification effort in the nation, was developed in 2011 by the Mayor’s Office, in partnership with Hands On Nashville and the Center for Nonprofit Management. The program seeks to recognize nonprofit agencies with effective volunteer programs and to encourage other organizations to join them in improving volunteer opportunities for the community. 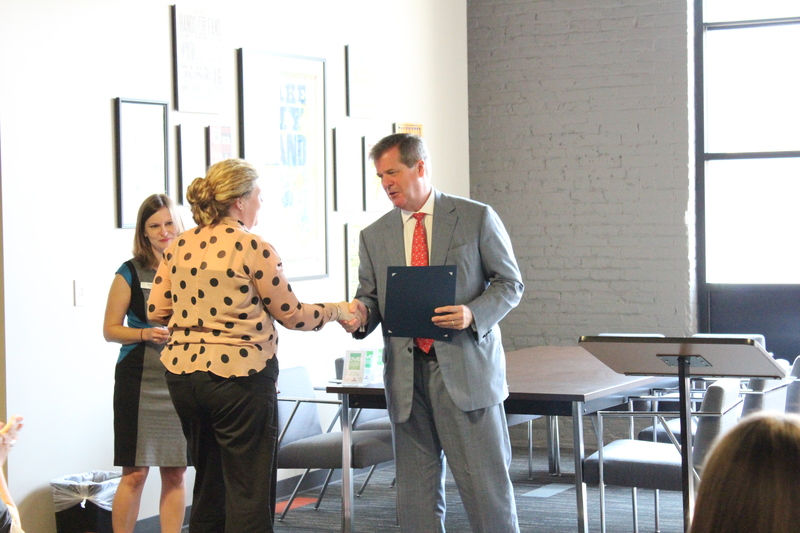 Dean recognized the recipients at an event this morning at the Hands On Nashville office in the Trolley Barns/Rolling Mill Hill. In early 2013, it was announced that Nashville ranks at No. 14 of the 51 largest cities in the United States in terms of volunteerism, according to the Corporation for National and Community Service’s Volunteering and Civic Life in America 2012 report. The six organizations that achieved certification include the Fannie Battle Day Home for Children, Make-A-Wish Foundation of Middle Tennessee, Nashville Wine Auction, Noah’s Ark Society, Preston Taylor Ministries and Salama Urban Ministries. A panel of judges who represent the community determine which agencies qualify for a two-year certification. Certified organizations showed effectiveness in specific areas of volunteer management, including a defined volunteer program with an identified, dedicated and trained manager; a screening process that aligns volunteers’ skills and abilities with appropriate tasks; orientation for all volunteers; and an evaluation process to affirm a volunteer’s impact on the community and agency. Application is open to all nonprofit agencies in Davidson County with no restrictions on the size or budget of the organization and no application fee. EVE applications are accepted twice a year, and the next application period will begin in the spring of 2014. Applications can be found on the Center for Nonprofit Management’s website, www.cnm.org, or Hands On Nashville’s website, www.HON.org. Excellence in Volunteer Engagement is part of the Mayor’s Office “Impact Nashville” initiative, which Dean launched on Sept. 30, 2010, as part of the national Cities of Service movement. Impact Nashville directs volunteerism toward two top priorities, public education and the environment. Aligned with the goals of the Cities of Service national coalition, Impact Nashville strives to improve the impact of volunteerism across our city in four areas: the impact for those being served, the impact for the volunteer, the impact on the agency’s mission and the impact on our community. Hands On Nashville’s mission is to meet community needs through volunteerism. For more than 20 years, Hands On Nashville (HON) volunteers have been addressing critical issues facing the Middle Tennessee community such as hunger, homelessness and environmental protection. In 2012, HON connected or referred more than 117,000 volunteers to service opportunities, making it one of the largest volunteer resource centers of its kind in the world. Offering more than 400 volunteer opportunities to the community each month at HON.org, Hands On Nashville challenges everyone to find a way to give back and to … Be the Change. Volunteer. For more information, visit www.HON.org or call (615) 298-1108. Do you remember that slightly older person you looked up to as a child? Maybe it was a big sister, a next-door neighbor, or a teammate. You thought this person hung the moon, and you wanted to be just like her. Mentor. Friend. Role model. Hero. Whatever you call this person, you know how much of a difference she made by showing you the ropes in your early years – some of the most important years of your life. 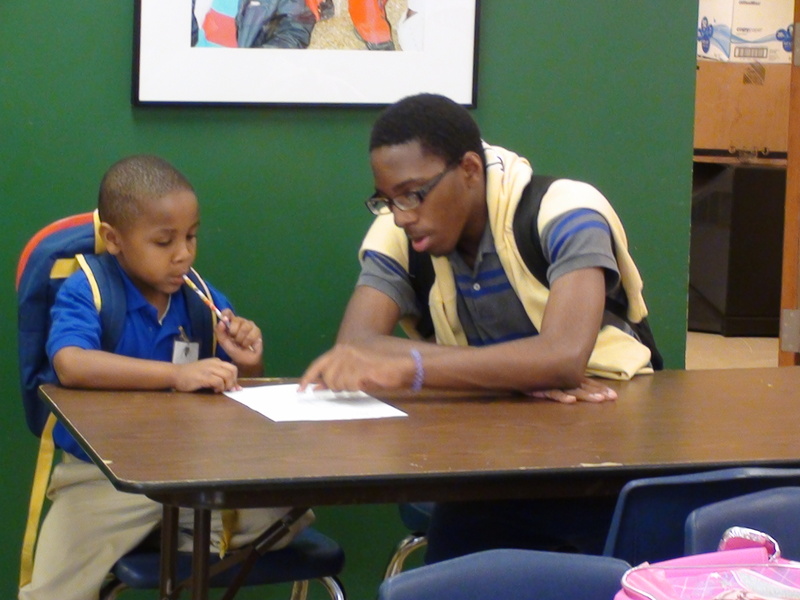 A high school student working with his mentee at Preston Taylor Ministries. There’s nothing like helping a child get to those “ah ha!” moments, and seeing their smile of accomplishment! Preston Taylor Ministries (PTM) knows how essential positive role models are in the lives of children. That’s why the organization seeks to provide afterschool and mentoring programming for more than 150 students, ranging in age from kindergarteners to high school seniors. Through the valuable programming offered to students, PTM empowers them to overcome many of the challenges faced by the Preston Taylor community including drug use, gang involvement, teenage pregnancy, illiteracy, and crime. PTM is able to offer these rich life experiences to students like Patrick, Jerome, and so many other students because of the outpouring of volunteer support. 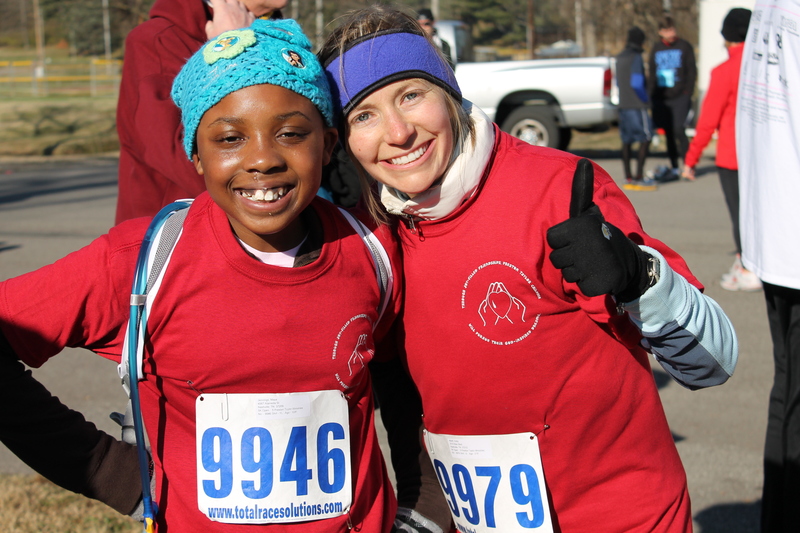 Because of the organization’s emphasis on building “joy-filled friendships,” volunteers are crucial to PTM’s success. More than 200 volunteers each week give their time, energy, and resources to PTM and the children and teens it serves. Volunteer Training – Wednesday, August 8, 4-6 p.m.
For all individuals interested in volunteering with PTM for the 2012-2013 school year. > Sign up to participate in the training. Loving staff and volunteers meet with children each day after school in small groups, focusing on math, reading, and homework. Volunteers are needed to facilitate the subject rotations, help with homework, and provide instruction. > Volunteer to help a child with his homework! Every Friday during the school year, more than 60 PTM children are exposed to a variety of volunteer-led enrichment opportunities including dance, sports, art, music, gardening, and more. > Volunteer to help make Fun Friday even more fun. For other opportunities with Preston Taylor Ministries, view a full list here, or contact Martha Willis, volunteer coordinator for PTM, at Martha@prestontaylorministries.org or (615) 569-7468. Learn more about PTM on the organization’s blog, or at www.ptmweb.ik.org. Check out this uplifting video of the good things happening at PTM! Preston Taylor Ministries from David McKay on Vimeo. To view a complete list of Hands On Nashville Nonprofit Partners, click here.